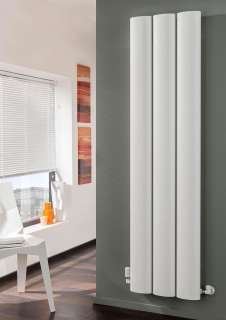 The Ovali radiator is made up of large oval tubes making this bold aluminium radiator a stand out in any room. With low water content it is also cost effective. Available in a choice of Matt Grey, Matt Black or White.